Saint Mary's Cathedral in Urakami District. The largest Catholic church in Asia, Urakami Cathedral was 1640 feet (500 meters) from the hypocenter. 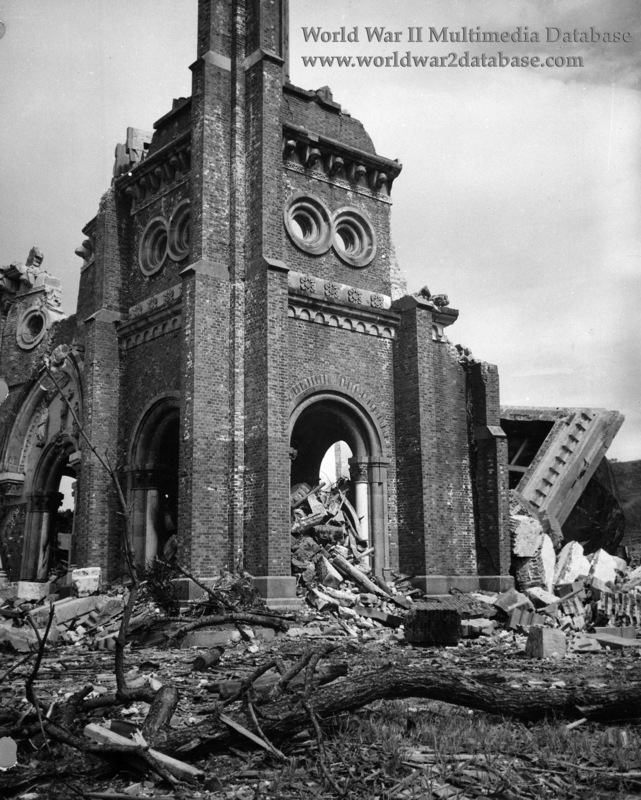 Brick structures like the cathedral could not stand the shock of the blast and was completely destroyed. The roof collapsed and flipped over; it can be seen in the middle right of the photograph. One of the two 50 ton bell towers, with imported French Angelus bells, were blown away and not relocated. Artifacts of the ruins of Urakami Cathedral are displayed in the rebuilt church. The surviving bell is rung three times every day.